Interested in learning about visual or performing arts administration . . . or contemporary issues and challenges facing galleries, museums, arts centers, festivals, performing arts companies or symphonies? Interested in learning about arts funding . . . or budgeting, planning, programming, or marketing? Interested in a seminar featuring guest lecturers who are themselves nationally recognized arts administrators? Interested in a boost to give your arts career a one-up advantage? In this seminar, students will explore theories, applications, and processes of arts administration practiced today. The course will focus on management objectives, strategies, and plans for a range of arts and cultural organizations including but not limited to museums, galleries, theaters, symphonies and other performing arts companies or ensembles, as well as related educational organizations. Though primarily focused on non-profit organizations, principles of arts administration taught in this course will carry over to management of for-profit art organizations such as performing artist management companies and commercial art galleries. The course will be led by David J. Wagner, a former director of non-profit visual and performing arts organizations and president of his own for-profit museum exhibition production company. Nationally recognized guest speakers who have held positions as leaders in their respective fields will add diverse perspectives and expertise to class discussions of major topics. Topics will include business planning and budgeting, stewardship by trustees and other stakeholders, fund-raising, legal aspects of arts administration (e.g. contracts), personnel, facilities management, program development, marketing, long-range and strategic planning, evaluation, and other aspects of arts administration that inform and instruct decision-making in arts and cultural organizations today. Emphasis will be on case-study issues and challenges confronting arts administrators today, many of which will tie-in to presentations by guest speakers. Readings will be available on Electronic Reserve through the Carroll University Library. Students will also have the opportunity to focus on specifics types of arts/cultural organizations and related administrative issues. 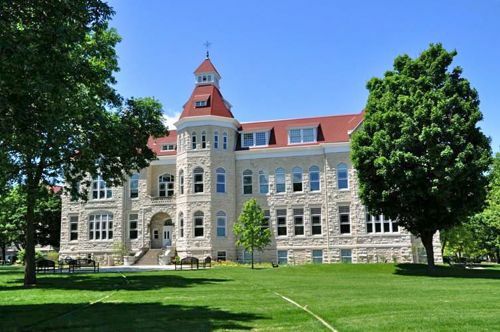 For information about Carroll University, and enrollment, click here. "Local Museums, Historic Houses and Sites"
"Local Museums, Historic Houses and Sites" offers students an inside-out view of topics, issues, and challenges facing professionals working in local museums, historic houses and sites today. In this course, students will learn about the history, diversity and functions of local museums, historic houses, and sites. They will examine theory behind the study of material culture and best practice trends. Historical interpretation will figure prominently in discussion and assignments. Students will be introduced to the missions and definitions of local museums, historic houses, and sites, and the practical challenges of planning, programming, management of change. Practical knowledge and insights will be gained from the study of programming, facilities management, maintenance, preservation, and security. Also treated will be philosophical issues and pragmatic approaches to preservation, restoration and adaptive re-use of historic buildings. Cultural tourism and related topics including branding, public/private partnerships, and advertising and publicity will be discussed. Living history interpretation through re-enactments, festivals, special events and special programming will also be explored. In addition, struggling and failed case study local museums, historic houses and sites, root causes and symptoms of struggle or failure, and remedies will be examined and discussed. 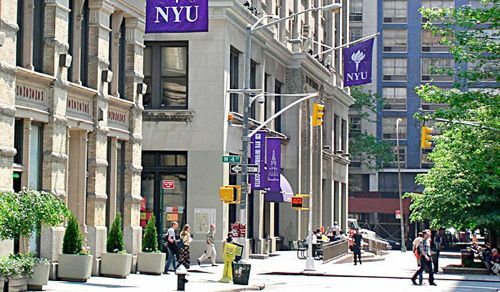 Books on the Required Reading List will be available at the NYU Bookstore. Excerpted materials on the Required Reading List will be available for purchase as a packet at the Advance Copy Center. Additional Recommended Readings will be available on reserve in the Museum Studies Program Reference Center. Mid-Session Assignment: You have been retained as a consultant at a historic site, house or museum of your choice. The Board of Directors has retained you to advise on the desirability and feasibility of accreditation by the AAM (American Association of Museums). Write a three-page recommendation to the Board about your site. Final Assignment Option #1: You have just been hired as Executive Director of the You-Name-It Historical Society. One of the oldest in the country, with colonial buildings and collections, and grounds, the UNIHS has experienced an annual decline in attendance of 5% for each of the past 5 years. The Board of Directors has given you three months to recommend a plan to turn this trend around. Your assignment is to frame the parameters of the UNIHS as you envision it, i.e. define its collections, personnel, exhibits, educational programs, facilities, budget, board, etc., and describe your approach in a 4-8 page, double-spaced typed paper.